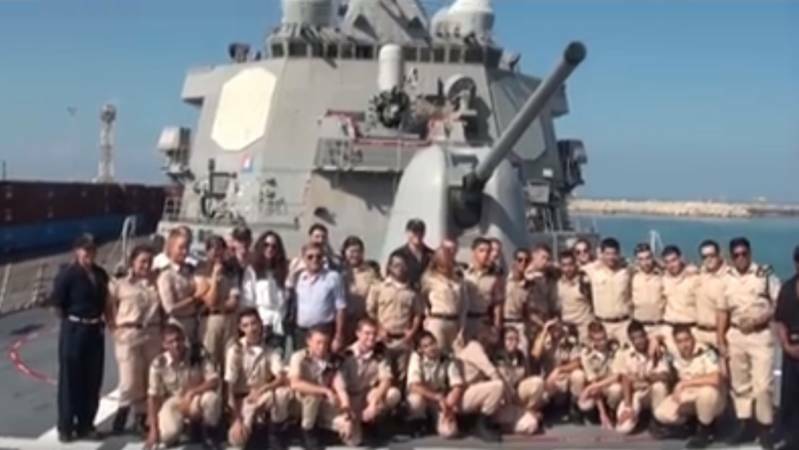 About a dozen sailors from the US Navy’s Sixth Fleet visited the Sci-Tech Maritime High School in Ashdod for some voluntary educational activity. 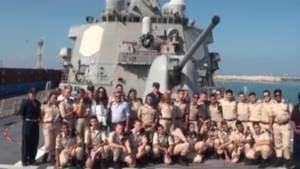 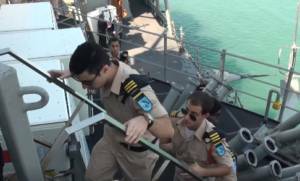 Following this unique visit by the 6th Fleet sailors in the school, the students were invited for a reciprocal visit aboard one of the fleet’s destroyers, moored at the Ashdod Port. 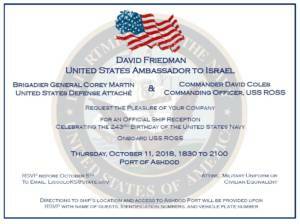 On the occasion of the US Navy’s birthday, students of Sci-Tech Ashdod Maritime High School were invited along with their principal, Ms. Yehudit Levi, to join the US Ambassador in Israel Mr. David Friedman for a visit aboard the USS Ross in the Port of Ashdod.